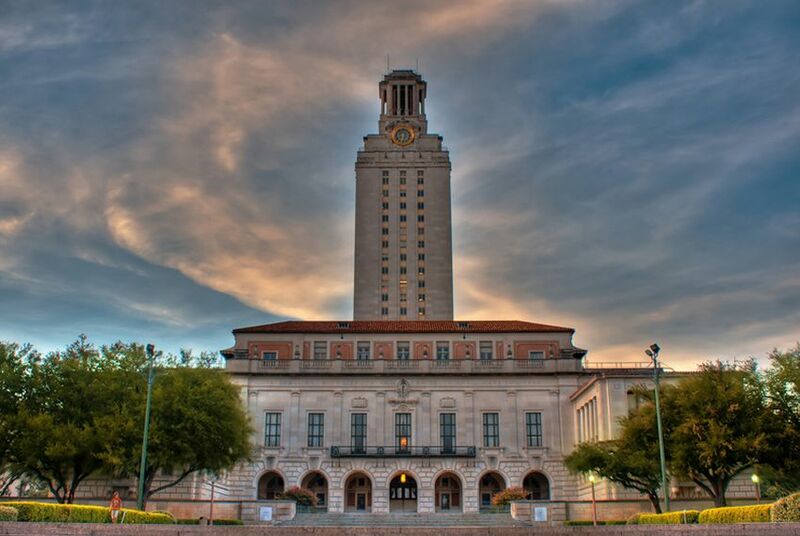 A new report by a University of Texas associate dean on the way UT handles tax dollars finds that the institution "excels" in the area of efficiency. The past summer has been marked by reports on the way the University of Texas handles tax dollars. The latest comes from Marc Musick, the associate dean for student affairs in UT's College of Liberal Arts. It finds that in the area of efficiency, the university "excels." One noticeable difference between the new report and others that have sparked controversy recently — notably those of Richard Vedder and Rick O'Donnell, both of whom criticized the university for allegedly low faculty productivity — is its scope. "Most of the talk has really focused on UT," Musick says, "not about how efficient we are compared to other schools." In preparing his report, which was released today, Musick gathered publicly available data on 120 public institutions of higher education for the sake of comparison with UT. Then he set about to answer a basic question: How much are taxpayers getting for their buck? "We basically calculate how much we get in revenue and, on the basis of how good our graduation rates are and how many faculty we employ, how good are we compared to other schools," he says. According to Musick, of the universities he looked at, UT is the second most efficient university in the country. (The top spot is claimed by the University of Florida.) Texas A&M University is close on UT's heels in fourth. Texas Tech University, at 24th, also makes a strong showing. "We're good stewards of the public dollar," Musick concludes. "Are we perfect? Of course not. There's no university that's perfect. Can we get better? Definitely." One area he says UT needs to focus on is its graduation rates. Its six-year graduation rate ranks 13th, below that of a number of its peers. Its four-year graduation rate, 53 percent, is even worse — "remarkably lower than our peer institutions," Musick says. He thinks UT should emulate Penn State (ultimately left out of the study because of a lack of available financial data), which has equal or lower average SAT scores but higher graduation rates. Despite his professional affiliation, Musick says he has no interest in making UT look better in his study. "At the end of the day," he says, "I'm a sociologist. I'm a scholar. The main thing I'm interested in is finding the truth." His report, he insists, would ultimately have been written with or without the ongoing controversy about efficiency and productivity in Texas' public institutions of higher education. In the spring, UT President Bill Powers created a task force on boosting graduation rates at UT and told the members to complete a report by the end of the fall. "The task force needs information," Musick says, "so I think this report was going to get written at some point regardless of what was happening." The report will be delivered to the graduation rate task force this week, and Musick says he hopes it informs the group's findings. "This is a way to get information to the people who have the ability to change things, to show them how we fit in so they can make good decisions," he says.